Do you need red diesel delivered in London? Crown Oil is a leading UK red diesel supplier covering the London area as well as delivering nationally. Our UK-wide network of red diesel supply depots guarantees a UK wide coverage regardless of where you are situated. Ideal for large companies spanning multiple locations. With over 65 years of experience in the fuel industry, we believe we know what our customers want. 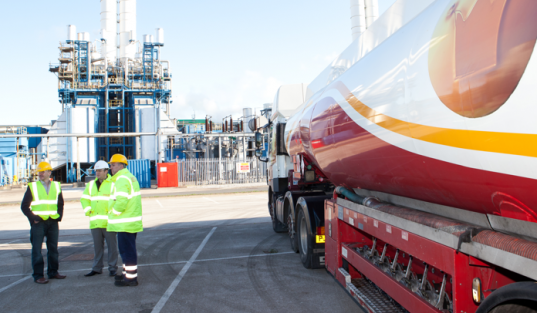 In fact, we are so confident of the high level of service we offer, that we put a guarantee on it – we guarantee to deliver your fuel at an agreed date and time most convenient for you. London is the largest city in the United Kingdom and also serves as its capital. It is also known for being the most visited city in the entire world. With a population of over 8 million, it is no wonder that it seems to be a magnet that draws people in. London is situated near the English channel and on the Thames. This bustling city gets its share of frigid and humid winter days. Keeping so many people warm in this climate during the winter sometimes seems to be a monumental task. Crown Oil are red diesel suppliers who have that covered though and take pride in the fact that they provide not only warmth but comfort to the residents of this ancient city. Whatever the fuel – from red diesel / gas oil to Diesel / DERV or heating oil, we can be relied on for all your fuelling needs. Red diesel fuel is very similar to motor diesel fuel. With the exception of the dye that is used to identify it as rebated fuel, there is very little to no difference at all. The reason for the dye is to provide the authorities with a method to differentiate between the two, for taxing purposes. No one would be in favour of paying the higher prices to heat their homes, run a tractor or power machinery when all they have to do is purchase red diesel in London. As red diesel suppliers, we can help your business with your red diesel requirements. Try us today by calling us on 0845 313 0845!